The PR 10 is a two-way sound reinforcement system consisting of a heavy duty 10" woofer and a RX14™ titanium diaphragm, dynamic compression driver mounted on a 90° x 40° coverage constantdirectivity horn. The lightweight-yet-rugged, injection-molded plastic enclosure with molded-in stand-mount cup facilitates portable use for live music or speech sound. A black powder-coated steel grille provides driver protection and a professional appearance. 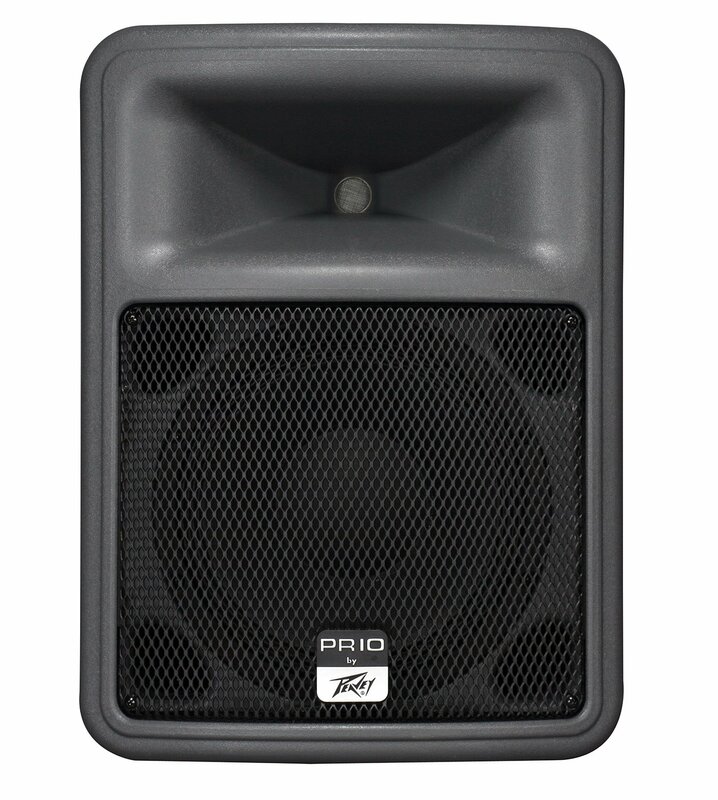 The PR 10 speaker system is rated at 400 watts program power handling, and the full crossover network includes high voltage film capacitors and high frequency driver protection for clear, punchy sound and excellent long-term reliability. Two 1/4" phone jack input connectors make daisy-chaining to other speakers simple.